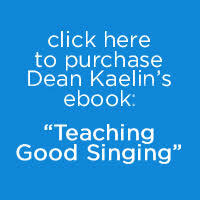 Dean Kaelin is the founder of IVTOM (the International Voice Teachers of Mix), a Certified Master Teacher and is currently the Education Director for Ivtom and is the voice coach for the Disney TV show “High School Musical”. He has trained teachers and singers all over the world. He has been teaching voice for more than 36 years. 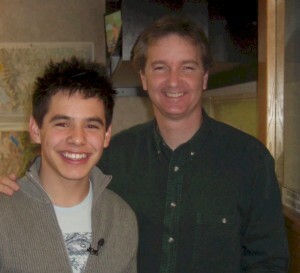 His students have been Star Search Winners, American Idol finalists, and have performed on Broadway, signed major record deals and performed at every major Theme Park in the U.S. He has conducted vocal seminars in Austria, Poland, Germany, Australia, Slovenia, Italy, England, Ireland, Vancouver, Los Angeles, Texas, Atlanta, New York and San Francisco. 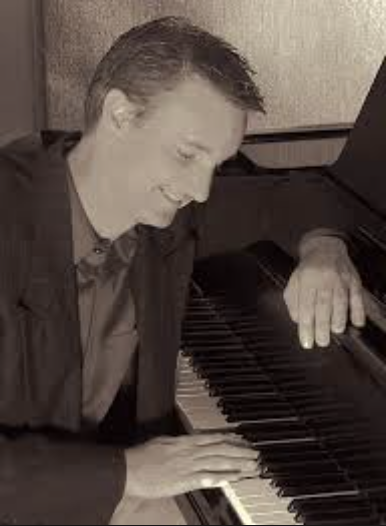 He has a degree in Jazz Composition from the University of Utah and a Masters Degree from Brigham Young University. He was an Associate Professor of Music at Westminster College in Salt Lake City for 7 years. He has been married to his wife, Susan, for 35 years and together they have 5 wonderful children who all sing several octaves with no breaks! His oldest, Sarah, performed on Broadway at the age of 19. Anna currently is performing on cruise ships and in NYC and Ali has followed in her dad’s footsteps and has trained as a voice teacher as well. Dean is a singer, songwriter, musician, performer, arranger and teacher. He began his professional career at the age of 9 and has performed throughout the U.S., Europe, South America, the Middle East and Africa. He has performed with Bette Midler, Bernadette Peters, Peter Gallagher, Leslie Ann Warren, Tom Johnston of the Doobie Brothers, Bobby Kimball of Toto, James Ingram, David Archuleta and many others. He has opened for George Strait, Dave Matthews, Train, the Goo Goo Dolls, Big Bad Voodoo Daddy and was a featured performer at the 2002 Winter Olympic Games. He has recorded 7 CDs of his own, and produced many for others. He wrote much of the music performed at the 2004 Day of Celebration at Rice/Eccles Stadium, and was the Artistic Director for the Utah/Moscow games in 2004. He plays over 12 instruments. Lesson should be scheduled before payment is made. for more information and to schedule a lesson. or by cash or credit card at the lesson.